It’s rare to catch Heather Jackson neither smiling nor laughing unless you happen to be one of her competitors. When she gets on the race course, the bubbly, giggly New Hampshire native is transformed into a stone-cold mercenary with one mission: win at all costs. Competition has always been a part of Jackson’s life. With an older brother and a younger brother and sister, she grew up determined to best her siblings no matter how trivial the event. Whether they were running down the street to get ice cream or playing soccer in the backyard, Jackson simply had to win. Jackson’s choice for high school did little to calm her competitive zeal. Her promise as a hockey player earned her acceptance into the Phillips Exeter Academy (PEA), which is arguably the most prestigious high school in the country. Its list of graduates includes Ulysses S. Grant, Mark Zuckerberg and most of the Rockefellers. She shined in such a competitive environment—both in athletics and academics—and graduated from high school as one of the best hockey players in the country with a scholarship to Princeton. While Jackson was thankful for the opportunities that PEA and Princeton provided, she couldn’t help but feel a little out of place. Her dad was a New Hampshire state trooper and her mom a teacher, and she spent eight years surrounded by kids whose parents’ were senators, law firm partners, and hedge fund managers. It’s a great way to get a chip on your shoulder. While she felt like a fish out of water around campus at Princeton, she felt right at home on the ice, and she turned into the star of the team with a shot to make the 2006 Olympic Team. Perhaps it was fate that she narrowly missed making the Olympic squad. 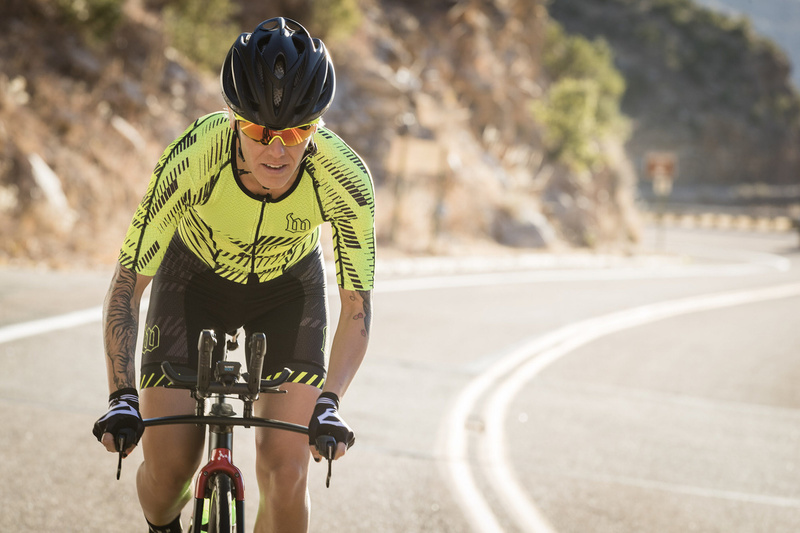 After graduation, she moved to San Jose to take a teaching job, got a bike, and started riding with a group that included some local pro triathletes. The powerful legs she’d built on the ice made her a natural for triathlon, and just two years after competing in her first race, she turned pro and started on a trajectory that’s made her the top U.S. Ironman athlete in the world. At 33, Jackson is entering the prime of her career, and she has a four-or-five-year window to earn the title of Ironman world champ. She’s also competing in what is undoubtedly the most competitive period of women’s Ironman racing. Last year in Kona, just five minutes separated second from fifth. Jackson turned in a ridiculously fast 9:02:29 finish—a time that was nine minutes better than her third-place showing from the year before. This year there are some speedy newcomers making their Kona debuts, and all indications are that the gaps will be even tighter among the top five women. “It’s all about who can dig deep in those final miles,” Jackson says. As much as it wasn’t fun to go from third to fourth in the final miles of last year’s marathon, it’s motivated Jackson during the home stretch of training for this year’s race, and it also has her coming in with a fresh, relaxed perspective. But before the fun comes that last touches of hard work. 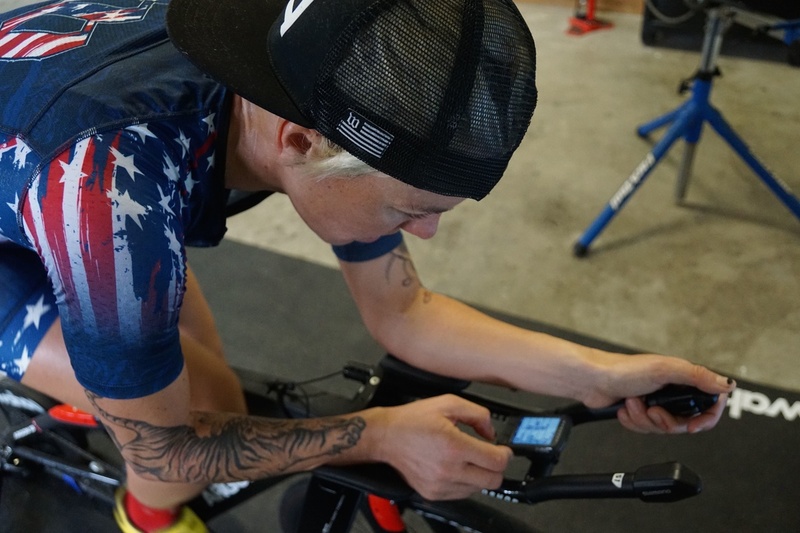 For her hardest sessions, Jackson sets up her Wahoo KICKR in the garage of her training base in Tucson, Arizona. She doesn’t need to crank up the heat because it’s already hotter than the temperatures she’ll face in Hawaii. When Jackson arrives in Kona this week, she’ll already have a KICKR waiting for her to do her final sessions. It’s not just about being able to keep to herself for her final quality sessions; it’s about staying safe and away from the pre-race craziness that engulfs the island. Brad Culp is a freelance journalist with a focus on triathlon and swimming. He’s the former Editor-in-Chief of Triathlete and LAVA magazines and has covered events in more than 50 countries. He’s competed in hundreds of endurance races, including 7 Ironman triathlons and 16 marathons. 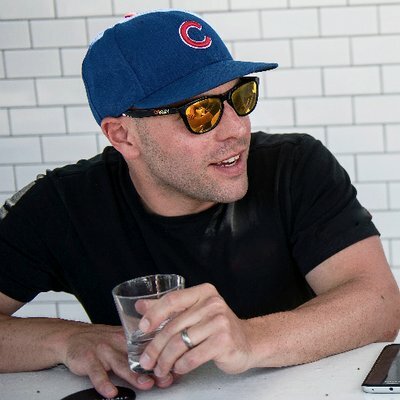 He’s based in Chicago and has spent time living in San Diego, Vancouver, Cincinnati and Washington D.C.